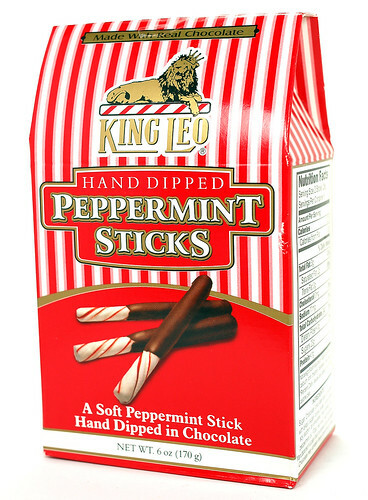 For this review, take what I said about the King Leo Soft Lemon Sticks, subtract the lemon and make the sticks peppermint. 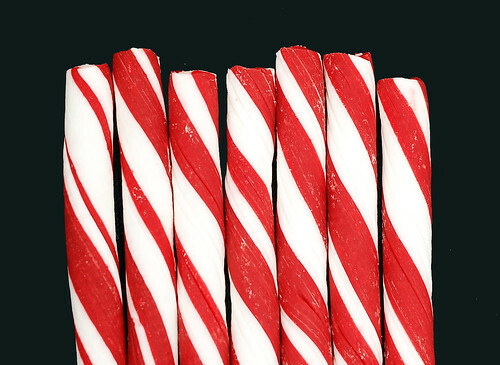 It's the same soft stick of compressed sugar that melts in your mouth, but in a peppermint flavor. 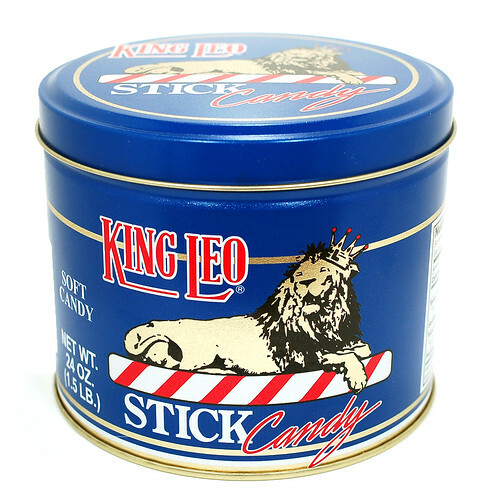 This is the King Leo brand signature candy. According to their web page, they've been making this candy for over 100 years. I have to admit, the only soft peppermint candy I've had is Bob's Sweet Stripes Mints. Those are good mints, but in my opinion these are great mints. I love these soft candy mint sticks. I also really like the round 24oz tin these arrived in (see above). Classic colors, classic styling, fantastic size. There are a ton of these sticks inside this tin, they are shipped in wax paper and are standing up, making them easy to grab and eat. I like how all of them are odd sizes and there are some misshapen ones in there. The colors aren't all uniform, in fact one thing I love about these is that they aren't perfect. Does anyone else get tired of perfectly shaped candy like I do? The misshapen sticks also make these look like they were homeade, which I love. I can't recommend this candy enough. Now, for this review, take everything I said above, and add chocolate on top of it. These are hand dipped in a pretty good tasting chocolate with a spot left on the end for you to hold on to. There are 12 in a box, and they are packaged separately in nice plastic trays to keep them from sticking and melting together (see picture below). The chocolate and mint combination go really well together. I couldn't figure out if I should let these melt, or bite pieces off and crunch on them. Either way they taste really good. 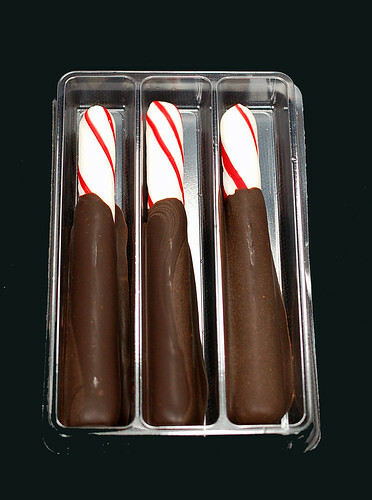 I do prefer the plain soft peppermint sticks to the chocolate covered ones. I think the chocolate ones would be a great to set out for the Holidays. In fact, my wife plans to purchase a few boxes of these to take to Christmas parties this year...she thinks they'll be a hit.